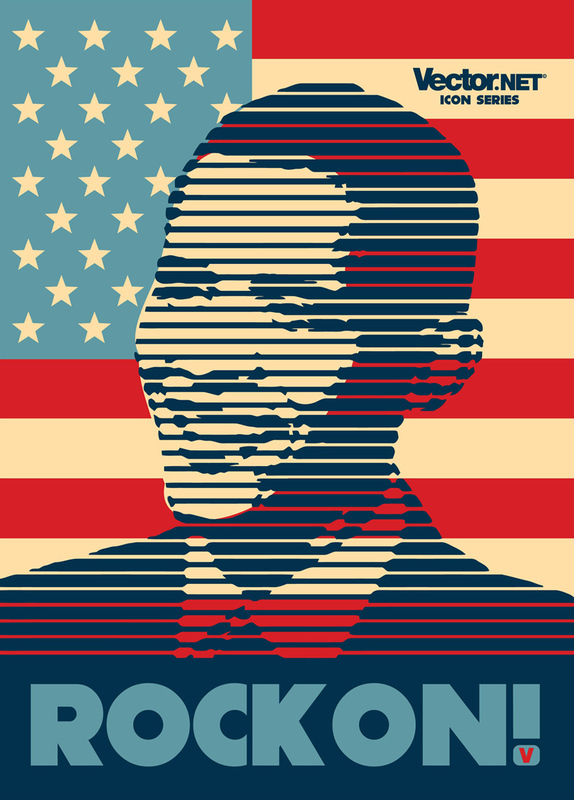 Cool vector graphics of US President Obama. Lines and stripes poster graphics of Obama’s face. So far, Obama’s president years have been difficult with the high unemployment in the USA, economic recession, Iraq and Afghanistan war, international tensions and BP oil leak but he keeps on rocking for a better world. Asher Lane for Vector.net.